Inspiration comes from many places. In the case of this particular design, it was from a car engine. Way back in 2010, our team collaborated with a vintage car enthusiast on a signature chandelier for his Florida oceanfront residence, and the Crankshaft was born. Since then, this design has become a mainstay in our Contemporary collection, and we've fabricated several custom versions in a wide range of sizes and materials. An engine crankshaft may be an unlikely inspiration, but it's easy to see the intrigue of this whimsically sophisticated fixture design. An asymmetrical assemblage of drums and discs surprises and delights the eye, while the center rod provides a unifying vertical axis. The Hammerton CH2298 catalog version of this fixture, at left, is 60" high by 48" in diameter, and is shown here with diffusers in frosted seeded glass and a statuary bronze finish. Over the years, we've modified this design in both size and materials to suit a wide range of interior styles for city, mountain and desert residences. Mica and glass are popular diffuser materials for the Crankshaft, as shown here. We'd love to hear your thought on the Crankshaft design in the comments section below. And if you'd like to incorporate a Crankshaft chandelier in your next design project, give your Hammerton representative a call! 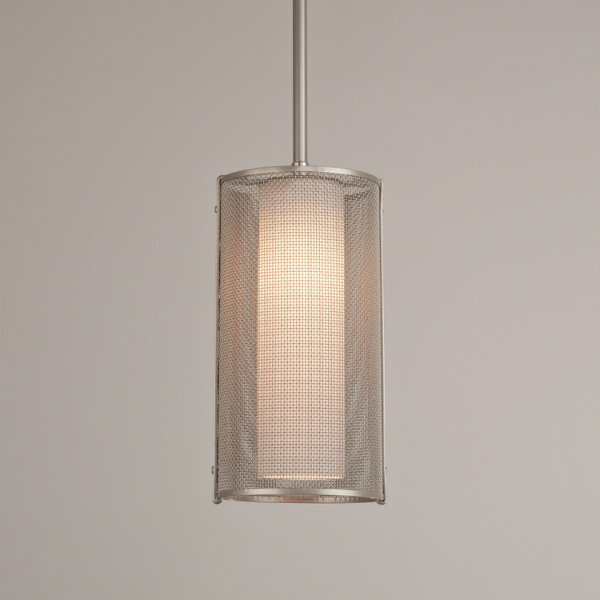 Skyline dining light with a Metallic Beige Silver finish. Skyline wall sconce with a Metallic Beige Silver finish. 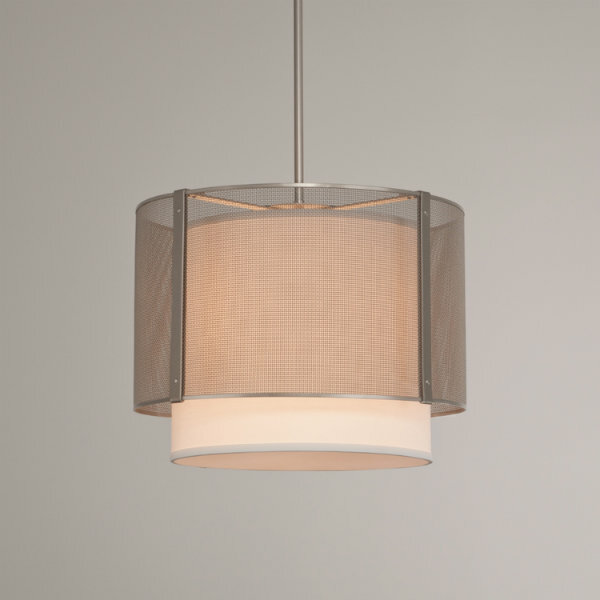 Skyline chandelier with a Metallic Beige Silver finish. Skyline pendant and indoor wall sconce with a Metallic Beige Silver finish. Skyline dining light with a Flat Bronze finish. Everyone loves a beautiful skyline, and Hammerton Studio’s new Skyline Collection offers today’s most popular interior styles a truly spectacular view. This sophisticated collection juxtaposes smooth layers of precision-cut metal with artisan glass and linen for a cool urban appeal. 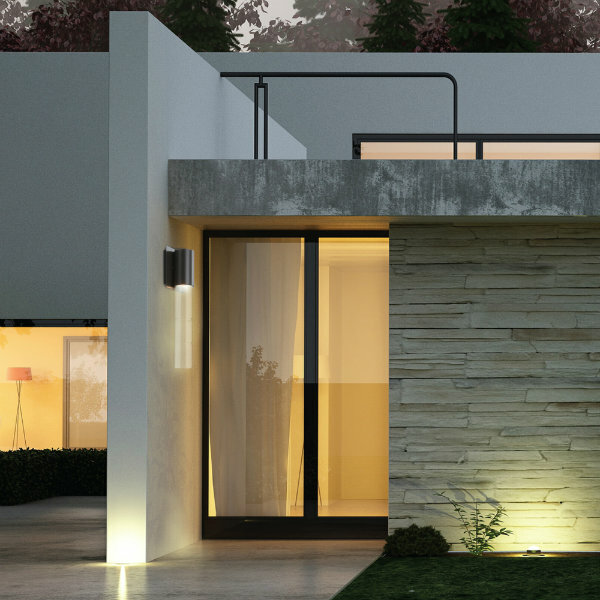 Inspired by pagoda-style outdoor lighting made popular in the mid-20th century, Skyline features an updated look with crisp lines, contemporary forms and beautifully finished materials that complement a variety of current styles. Skyline fixtures are available in a broad variety of functions and two finishes, ship in three weeks or less, and are easy to install. Interiors that feature a custom look can rely on Skyline’s versatility and unique architectural aesthetic to deliver a fresh and modern style. Peruse the gallery above to view the variety of ceiling lights, pendants, and indoor and outdoor sconces from Hammerton Studio’s new Skyline Collection. 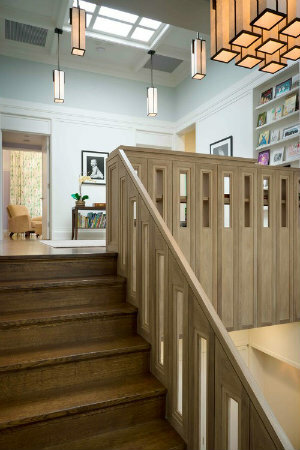 Whether your home requires a boost of contemporary appeal or a touch of urban sophistication, Hammerton Studio’s distinctive style and versatile custom light fixtures can enhance visual interest anywhere in the home. 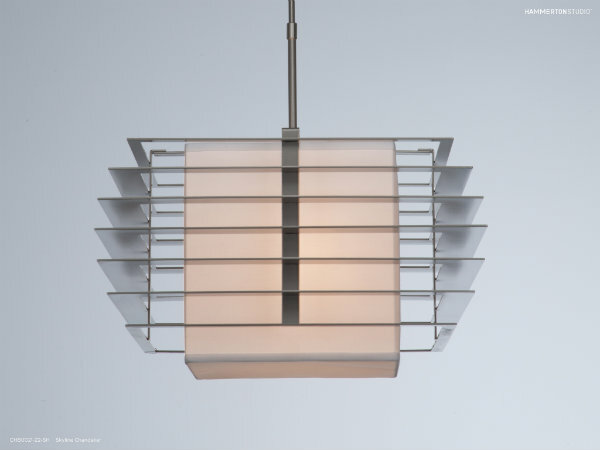 If you need help finding a uniquely contemporary light fixture at the right price, contact a Hammerton lighting expert today by calling 801.973.8095. It started with one chandelier. After it became a top-seller, we had no choice but to turn it into an entire collection. Now, the Tempest Collection is creating a storm with its swirling bands of sleek steel. Edgy and elegant, this collection is the epitome of urban sophistication. 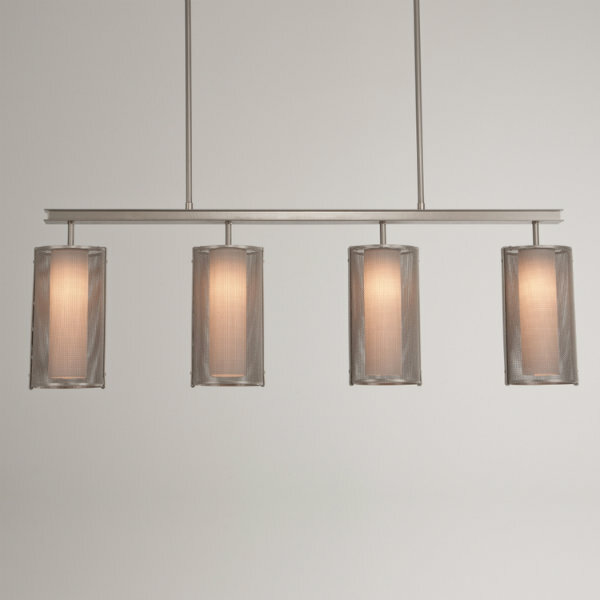 The Tempest collection of handcrafted light fixtures includes pendants, wall mounts and cover sconces, each boasting the signature asymmetrical steel-banded shade. Each can be ordered with a glass or linen diffuser to create an interesting juxtaposition of hard and soft, stillness and movement, intricacy and simplicity. To play up the industrial aesthetic, Tempest fixtures can also be paired with clear or frosted globes or any vintage filament bulb. Industrial-chic yet remarkably versatile, these fixtures add distinct urban style to entryways, great rooms, master suites and more. Tell us what you think! “Industrial-chic” and “loft style” have become the industry’s hottest buzz words as industrial style lighting continues to prove itself as a top lighting trend in the design world. 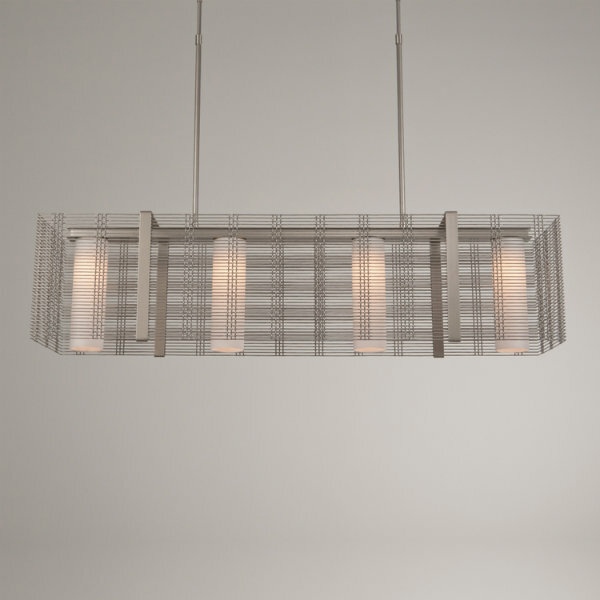 Versatile and interesting, industrial style lighting, as design blogger Wendy Hyde describes it, is “bold enough to make a statement, yet quiet enough for those who just want to get their feet wet in the style.” And it’s everywhere. “You’re as likely to find industrial décor within the walls of a multimillion-dollar mansion as in a converted loft in a gritty part of town,” says design journalist Lisa Frederick. This aesthetic is not only about edgy metal finishes. One of the most popular ways to add an industrial touch to transitional and contemporary interiors is with bare bulb industrial lighting. Bare bulb lighting is a fantastic way to show off vintage bulbs, clear or frosted globes and other unique lamping options that add visual interest. Both the Hammerton Contemporary Collection and the Hammerton Studio brand include a number of industrial-inspired designs. Some of our favorites are featured above. Do you dare to go with bare bulb lighting? We’d love to hear your thoughts about this trend. Share them in a comment below.